We are very pleased and proud to announce that the Australian Centre on China in the World will again be a Major Partner of the ACYD. 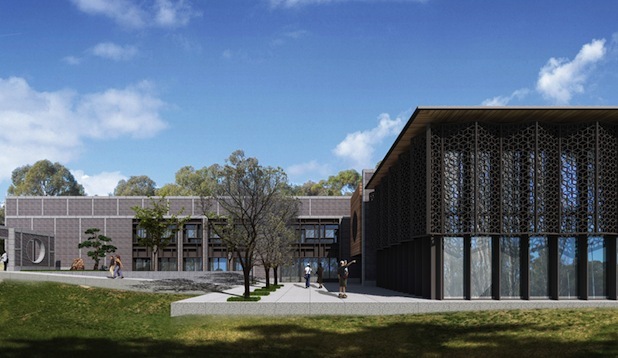 The Australian Centre on China in the World (CIW) is a research institution established to enhance the existing capabilities of The Australian National University (ANU). It aims to be an integrated, world-leading institution for Chinese Studies and the understanding of China, or what has been called 'Greater China' or the 'Chinese Commonwealth' (the People's Republic of China, the Hong Kong and Macau Special Administrative Regions, as well as Taiwan and the Chinese diaspora), on a global scale. For more information about the Australian Centre on China in the World, please click here. Image by Mo Atelier Szeto + Munns Sly Moore Architects.